Whether you're looking for a raft package setup for three days on the Rogue, a week on the Middle Fork or 18 days on the Grand Canyon, Team Clavey can create the perfect raft package for you and your team. From Oars to Locks to Frames to Drop Bags to Dry Boxes to Coolers, Clavey has exactly what you need for a great time on the river. 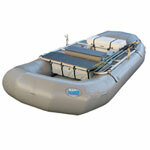 We build our raft packages starting with the best built rafts in the industry: AIRE, NRS and Vanguard. 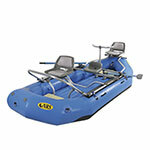 And know that 98.9% of all the accessories we add to the raft to make these packages are Made in the USA. When you purchase a Raft Package the accessories available for you to select in that package are already marked at a 15% discounted price. In addition, you can add any other accessories to your cart and receive 15% OFF those items as well. To receive that 15% discount, just enter coupon code 15OFF to your cart.